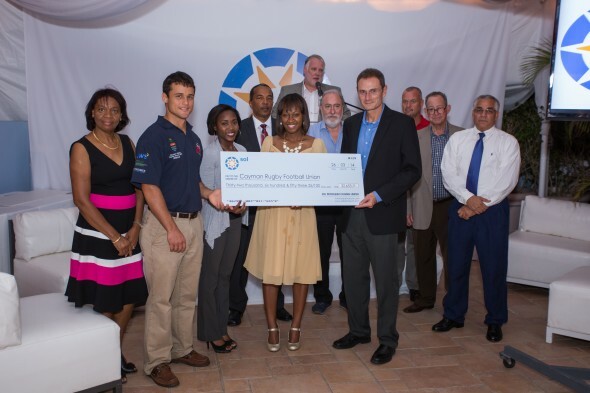 The Cayman Rugby Football Union Received a donation from SOL PETROLEUM CAYMAN LIMITED. 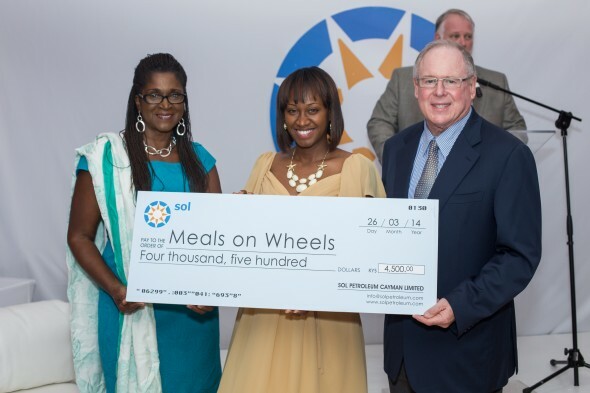 Beulah McField of Meals on Wheels accepted a donation from SOL PETROLEUM CAYMAN LIMITED. Sol Petroleum Cayman Limited was given a warm reception when the new company was unveiled recently to customers in Grand Cayman. The official launch followed the purchase of ExxonMobil’s Caribbean businesses in the Western Caribbean (Bahamas, Barbados, Bermuda, Dominican Republic, and Grand Cayman) in January this year. The transaction included ExxonMobil’s fuels marketing business as well as a long term brand alliance which provides for the continuation of the Esso brand at the acquired retail sites. Customers will therefore be able to buy the same high quality fuel and products that are associated with the Esso retail offering when they visit Esso service stations across the island. 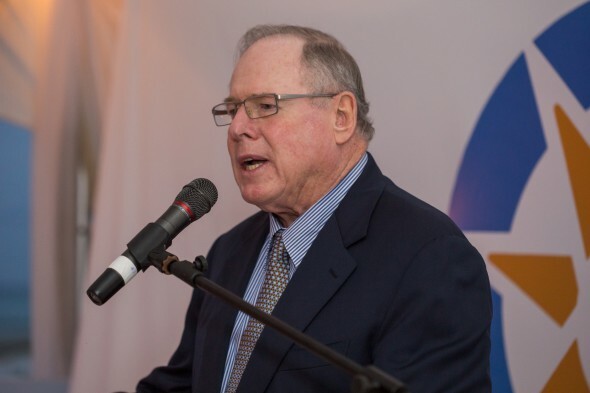 Speaking during the opening ceremony, Chairman of the Sol Group, Sir Kyffin Simpson greeted customers, management, directors and staff of the new subsidiary, noting that Sol was very pleased to be in Cayman and looked forward to building further bonds with the government and people of Cayman. The Chairman’s comments were well received by his audience, and later endorsed by Chief Executive Officer of The Sol Group, Gerard Cox who was among dignitaries in attendance. Cox said Sol’s Caribbean roots gave the company a unique and advantageous appreciation of regional markets including Cayman. 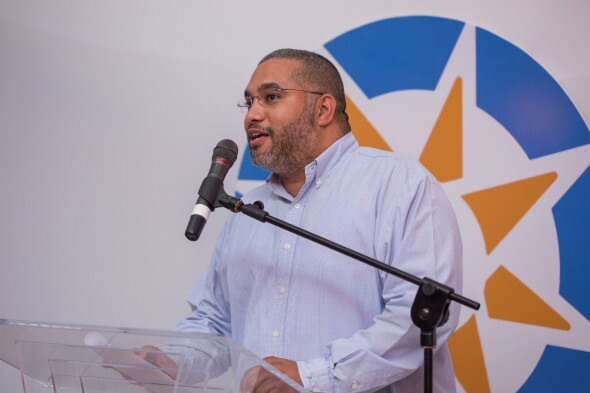 Also addressing the ceremony, General Manager of Sol Petroleum Cayman Limited, Alan Neesome said the Esso brand had been, and would continue to be an important contributor to the market in Cayman. He said the company was therefore happy to be able to continue offering its customers the same high quality products associated with Esso as part of the Sol organisation. “The Esso brand has a long-standing legacy in Cayman with over 80 years as a major contributor and investor in the Cayman market, providing opportunities for Caymanians to own and manage successful business ventures. We are very happy to perpetuate the tradition under Sol and will offer the same ExxonMobil high quality fuels long associated with Esso. Neesome further noted that as a respected regional player, Sol had demonstrated its commitment to regional development in every market where it had established operations, the Cayman market being no exception. Sol also received an official welcome from President of the Cayman Chamber of Commerce, Johann Moxam, who encouraged the new company to get involved in the Chamber’s work and initiatives, sharing its extensive knowledge and research on energy related issues. Sol is also the largest macro distributor of Shell lubricants in the Caribbean and will offer a full range of lubricants, including synthetic high-performance products to Cayman.